Ask the Yogi: What causes muscle cramps? Q: When I do certain poses in yoga my calf muscle cramps. What causes this? Is there anything I can do to stop it from happening? A: What you are describing is a relatively common occurrence in exercise of all types. In yoga some report the calf muscle going into a spasm when they are in a toe pointed position, such as the feet are in when doing upward dog pose. If you are vulnerable to this, practically any pose that causes you to point your toe might bring it on, but especially if you rest weight on the top of the foot. Muscle cramps of all sorts are sometimes experienced when we workout and they occur for a variety of reasons. Usually the trouble can be classified into mineral imbalances, muscle fatigue or muscle tightness issues. Occasionally someone might have an underlying condition that interferes with blood flow into the calf muscle. It is often during the heat of the summer that many find their muscle cramp episodes increase. This can be due to all the sweating that elevated temperatures bring on. We know to drink water and keep hydrated, but we often neglect to replace the vital electrolytes we lose from sweating as well. Electrolytes are the minerals calcium, magnesium, sodium and potassium. They are vital to our health and the proper function of our muscles. When we have an insufficient supply of electrolytes our muscles tend to cramp up more. Those who experience muscle cramps while exercising are probably needing more sodium and/or potassium. If the muscle cramps tend to plague you at night then you probably need to increase calcium and/or magnesium. We get some of these minerals if we eat a wide variety of foods, but we often don’t bring in as much as we excrete, leading to mineral imbalances. You can take a multi-mineral to replace what you need or you can use and electrolyte drink to help restore your balance. Some sports drinks have electrolytes, but many are also chocked full of sugar and artificial dyes. I prefer the simple electrolyte powder called Electromix made by the same company that makes EmergenC. It is a sugar free additive to water that will replace your needed minerals and make a nice lemon lime tasting drink. We are more likely to have muscle cramps when our muscles are tired from previous workouts. Immediately following intense exercise our muscles are recovering their oxygen, replacing the glycogen they used and getting rid of the lactic acid that built up. The lactic acid only lasts about 45 minutes because when oxygen is replenished in the muscle the lactic acid gets converted into carbon dioxide (the air we breathe out) and water. Glycogen stores are slower to be replaced since we have to bring this in from the foods we eat and that must be digested first. It is a good idea to take things easy for at least 48 hours after an intense workout or else you can run the risk of over-training. If you notice your muscle cramps seem to happen more frequently after you have had a hard workout then take some time off and let your body recover before putting it through another tough workout. Another factor that can bring on muscle cramps is too little activity. We often sit for long hours during our workday and this reduces circulation to our lower legs. Some people adopt a sitting position where instead of placing their feet flat on the floor, they point their toes and lift their heel off of the floor. This creates a short calf muscle. Another way to shorten a calf muscle is to wear high heels. Complicating matters more is the potential of weakness to the calf muscle. A person who sits much of the time and does not walk very frequently or very far may have weak calf muscles. When a weak muscle is placed in a position where it should be active, such as pointing our toes, it has a hard time controlling the contraction and may spasm instead. A weak muscle is also more likely to fatigue and build up lactic acid faster which also contributes to the likelihood of spasms. There is no way for me to know exactly why your calf muscle is cramping but you can try several things. Replace your electrolytes either with a multi-mineral supplement or electrolyte drink. Gently exercise your calf muscles by going for a walk. When in yoga and it comes time to do one of those toe pointing postures, go easy. Some find it helpful to place a small rolled towel under their ankle when the feet are face down on the floor in poses like upward dog. If you find yourself with a muscle cramp in the calf the best thing to do is stand up. Body weight on the leg will likely resolve the cramp. If you find these simple steps are not helping it is always wise to consult with your doctor to make sure you don’t have some sort of underlying condition causing your symptoms. 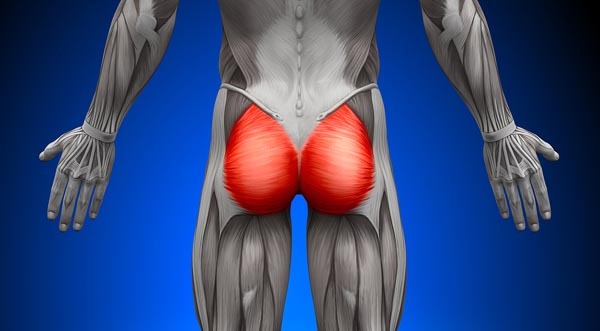 Ask the Yogi: Where are my glutes? Ask the Yogi: What Yoga Class is Best for Me?